Dr Daniel Tan Yat Harn is consultant radiation oncologist and medical director of Asian American Radiation Oncology (AARO), the radiotherapy and oncology division of Asian American Medical Group. Working in collaboration with University of Pittsburgh Medical Centre (UPMC), AARO assists with the management and clinical supervision of radiation oncology units in Asia, bringing modern radiotherapy standards and advanced radiation technologies to developing regions. Dr Tan works closely with UPMC and regional oncology units to implement radiation oncology best practices in Singapore and Asia. He also helms the clinical unit of AARO to provide sub-specialty radiation and oncology care and offers clinical expertise in advanced radiation techniques to local and regional patients. Prior to joining Asian American Radiation Oncology, Dr Tan has been working with the National Cancer Centre Singapore in the Division of Radiation Oncology as Consultant Radiation Oncologist specialising in stereotactic radiosurgery and stereotactic body radiation therapy (SRS/SBRT), and the management of central nervous system, prostate and breast cancers. He was also Co-Chairperson of the Neuro-Oncology Cancer Service Line Development workgroup in NCCS and Clinical lecturer at the Yong Loo Lin School of Medicine at the NUS. He began his clinical and radiation oncology career after completing his MBBS at National University of Singapore (NUS) in 2002, and then went on to obtain the FRCR in Clinical Oncology in 2011 at the Royal College of Radiologists, U.K. He was awarded a Health Manpower Development (HMDP) Award for training in Brachytherapy, Stereotactic Radiosurgery and Body Irradiation (SRS/SBRT) by the Ministry of Health Singapore in 2012. Prior to this, he was also awarded a HMDP fellowship for advanced training in Clinical Oncology by the Ministry of Health Singapore in 2008. Dr Tan was admitted as a Fellow of the Academy of Medicine, Singapore (FAMS), Chapter of Radiation Oncology in 2012. In 2013, he was given the Singhealth Doctor’s Long Service Award to recognise his dedication to patient care for more than 10 years. Dr Tan underwent training with a focus on neuro-oncology at international premier centres, which included Proton Therapy at University of Pennsylvania’s Roberts Proton Therapy Center, USA, Spine Radiosurgery at Princess Margaret Hospital and Sunnybrook’s Odette Cancer Centre, Toronto, and Advanced Radiation Technologies at Tokyo Metropolitan Komagome Hospital in Japan. Having learnt Spine Radiosurgery under renowned expert Associate Professor Arjun Sahgal, he returned to establish the Novalis Spine Radiosurgery service in NCC, the first of such a service in Singapore and the region. He continues to maintain personal contact with leading international stereotactic radiation oncologists so as to keep abreast with latest research developments. His research interest involves the application of stereotactic radiosurgery (SRS) and stereotactic body radiation therapy (SBRT) in benign and malignant tumours of the brain and spine, as well as in oligometastatic and prostate cancers. Together with his mentors, he was instrumental in the development of the Novalis Brain Stereotactic Radiosurgery Program at NCCS and subsequently developed the Novalis Spine Stereotactic Radiosurgery Program after his return from HMDP. Together with his mentor Dr Chua Eu Tiong, he has managed hundreds of radio-surgical brain cases, many of them being complex and re-treatment cases. He was national project coordinator for the International Atomic Energy Agency’s (IAEA) RCA project 6065 on ‘Strengthening the application of SBRT to improve cancer treatment’. This project involved efforts to train and develop SBRT, an advanced radiation technique, in countries within the Asia-Pacific Region. He was Course Director for the first regional training course in SBRT in 2012 and in 2014 he was invited to IAEA in Vienna as an expert consultant for preparation of phase 2 of this regional project. His work has been presented at major international conferences, such as the 56th Annual Meeting of the American Society for Radiation Oncology (ASTRO), 50th Annual Meeting of the American Society of Clinical Oncology (ASCO), and the 11th / 12th International Stereotactic Radiosurgery Society (ISRS) Congress in Toronto and Yokohama respectively. He is also frequently invited to lecture on these subjects in regional meetings such as the Phillipines Radiation Oncology Society Annual Meeting, the Annual Scientific Congress of the Malaysian Oncological Society (ASCOMOS), the Asia-Pacific Breast Cancer Summit and the International Society of Geriatric Oncology (SIOG) Asia Pacific Conference. He has written and published in research journals on the subjects of neuro-oncology, stereotactic radiosurgery (SRS) and stereotactic body radiation therapy (SBRT). While in NCCS, Dr Tan was actively involved in teaching trainees, overseas fellows and junior consultants in his areas of expertise. He was also examiner for the graduate diploma in radiation oncology examinations in 2013 which was conferred by the Academy of Medicine, Singapore. 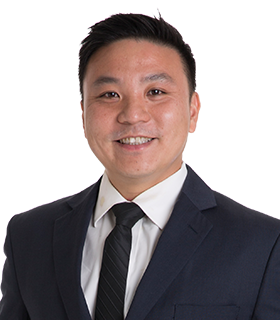 Dr Tan is a member of the following international professional organisations: American Society for Radiation Oncology (ASTRO), the International Stereotactic Radiosurgery Society (ISRS), and the Society of Neuro-Oncology (SNO). In addition, he holds office as executive committee member of the Singapore Radiological Society and as council member of the College of Radiology Singapore. He was organizing chairman of RadiologyAsia 2015, an inaugural regional radiology meeting held in conjunction with the Singapore Radiological Society’s 24th Annual Scientific Meeting. He is also currently pursuing his MBA in Healthcare Management at NUS because he believes that good medicine depends on good management.